Continuously collect customer insights using feedback company and turn your company into a customer-centric business. Listen to your customers, improve based on their feedback & grow your business. 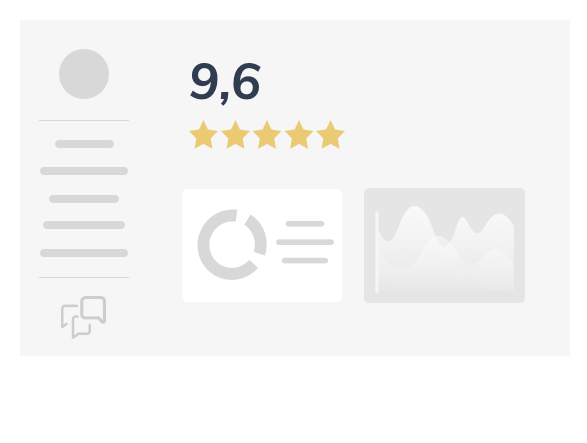 Use the Feedback Company dashboard to gain customers insights. Ask specific questions and improve your business based on analyzed results. The net promoter score measures customer loyalty and predicts business growth by finding your brand promoters. Find out what percentage of your customers will be a retuning customer. Feedback Company adds the NPS question to your review form. Using a special formula and precise question Feedback Company will automatically calculates your NPS result. “How likely is it that you would recommend [your company] to family or friend?”. 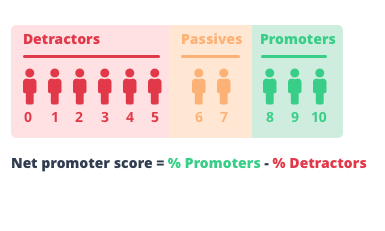 The net promoter score measures customer loyalty and predicts business growth by finding your brand promoters. Find out what percentage of your customers will be a returning customer. Feedback Company adds the NPS question to your review form. Using a special formula and precise question Feedback Company will automatically calculates your NPS result. 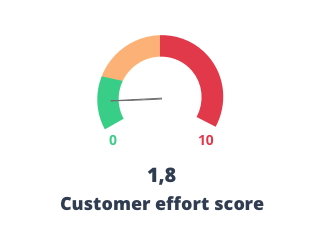 The Customer Effort Score is all about measuring your customer service department efficiency. Using the question “How much effort did you personally have to put forth to handle your request?” customers can, on a 1 to 5 scale, rate the interaction they had with your customer service department. Based on these results you can easily address your Unique Selling Points but also your company’s pitfalls.